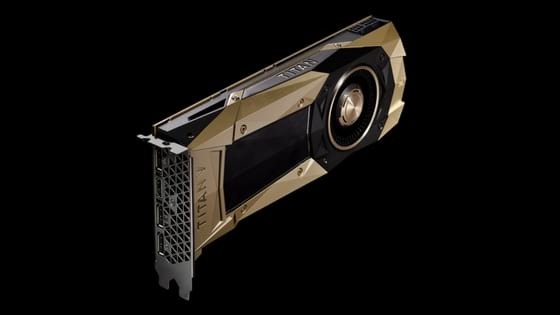 Nvidia Titan V, the latest offering from the American technology company, is the world's most powerful GPU ever created for Personal Computers. The product targets researchers and scientists. It was announced at the annual NIPS conference by founder and CEO, Jensen Huang. There are 21.1 billion transistors used. New Tensor Cores deliver 110 teraflops and are designed for deep learning and scientific computations and simulations. The Nvidia Titan V promises to turn a PC into an Artificial Intelligence powered supercomputer. The new GPU has nine times the raw horsepower of its predecessor. It is built on their proprietary Volta GPU architecture. The new GPU is twice as energy efficient as that of the precious generation Pascal design, which is due to a significant redesign of the multiprocessor at the center of the Graphics Processing Unit. There is also a boost in performance within the same power usage as that of its predecessor. Nvidia Titan V is priced at $2,999.